Presented during the past Milan Design Week, Tangram is a stationary set designed for Bertoni 1949. 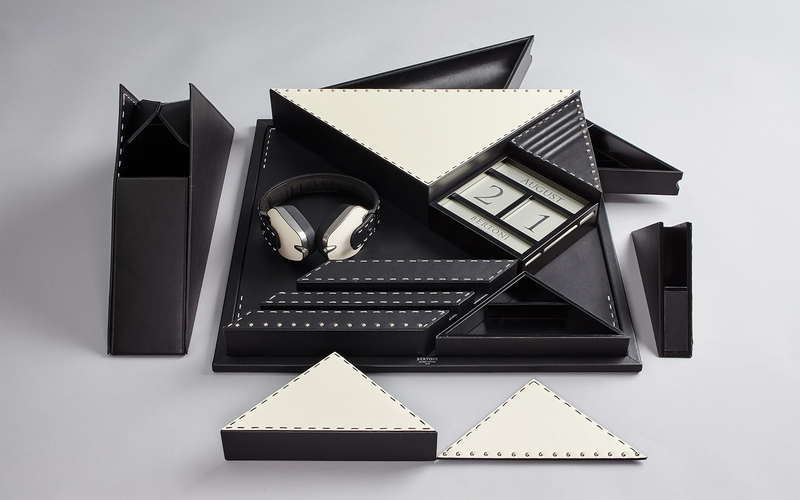 A small masterpiece of manufacturing skills, the set is a collector’s item that mixes a conceptual look with the timeless elegance of the contrast between black and white, emphasized by the preciousness of the material. Here the high craftsmanship of Bertoni 1949 is harnessed to the aesthetic codes of Hangar Design Group to create a sculptural composition, in a combination of geometrical rigor and creative imagination.